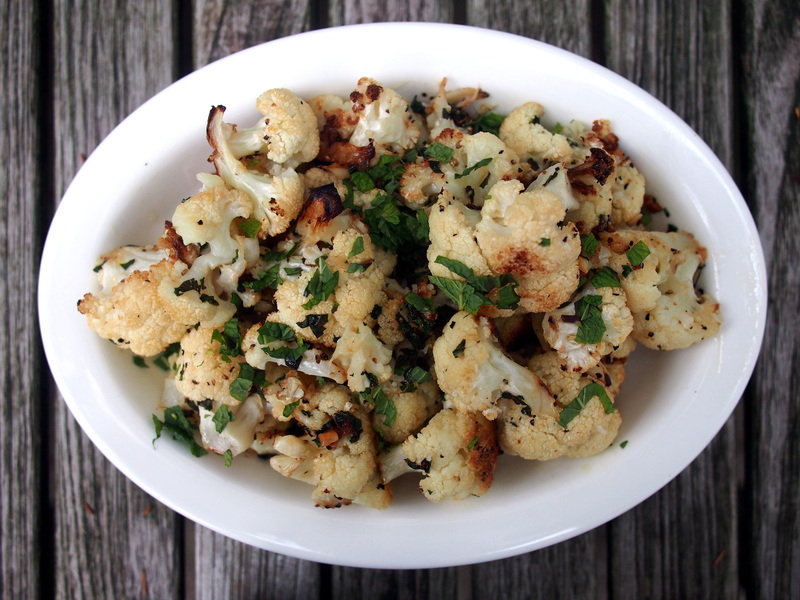 Toss cauliflower florets with garlic, ginger, salt, pepper and olive oil. Roast in preheated oven until browned and tender, 20 to 25 minutes. 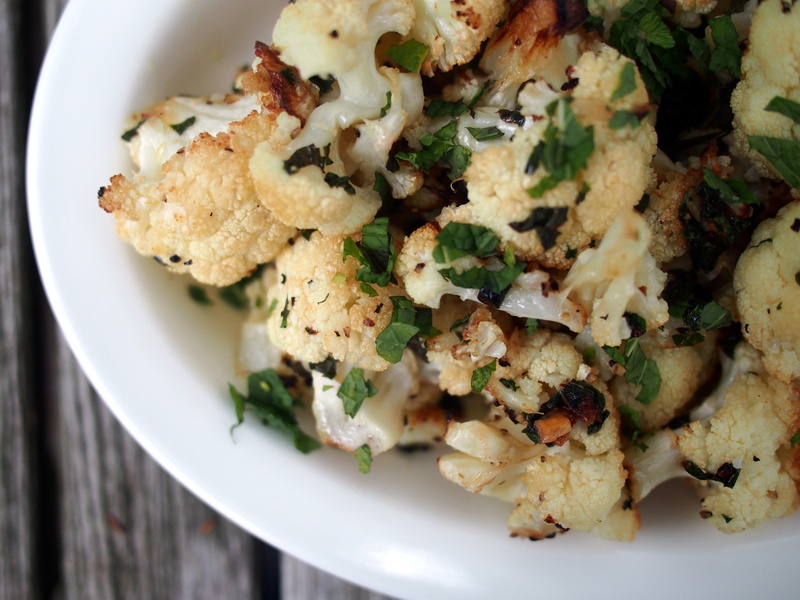 Toss with mint, sprinkle with lime juice and serve.